The first image from the upcoming remake of A Star Is Born has been released, showing Bradley Cooper and Lady Gaga in their roles. 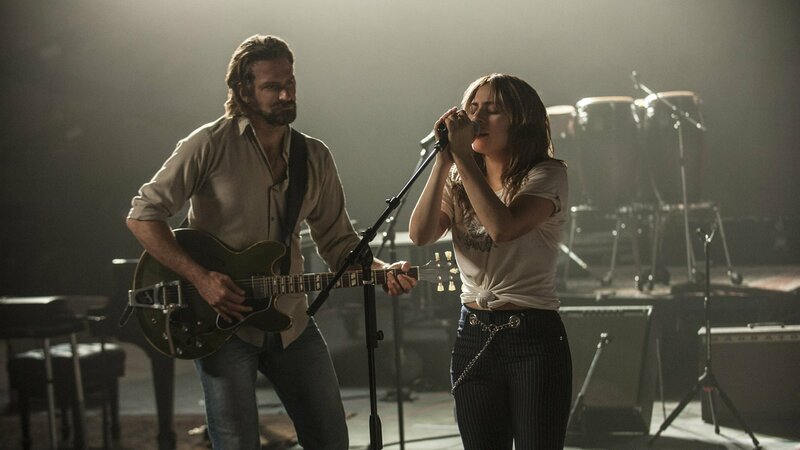 Warner Brothers released the image of the pair rocking out on set, moment’s later Lady Gaga posted the same image to her Instagram account saying she was about to head off and film her first scene. The original movie, made in 1937 by director William A. Wellman. The first version of was a drama starring Janet Gaynor and Fredric March was about an aspiring movie star who is helped by a more experienced actor whose career is fading. In 1954 the film was remade with Judy Garland and James Mason in the starring roles, now a musical it contained one of Garland’s biggest hits The Man That Got Away. A third version was made in 1976 and starred Barbra Streisand and Kris Kristopherson. In this version the two lead characters are singer-songwriters. The film was Best Picture – Musical or Comedy at The Golden Globes, and picked up an Oscar for Steisand’s hit song Evergreen. The new version is Cooper’s directorial debut, he’s play the male lead alongside Lady Gaga who’ll be making taking on her first leading role in a film. Gaga will also write all new songs for the movie. On the weekend Gaga headlined the Coachella Festival. The singer was a last minute replacement when Beyonce had to pull out due to her pregnancy. Gaga surprised fans with a new song included in her set, which she released just a few hours later.